Today marks the beginning of what we hope will be a long, shared adventure. On February 17th, 1992, we were assigned the job of creating and managing X-MEN: The Animated Series. Few had faith that it would succeed. Other Marvel TV series hadn’t. Time and money were short. But thanks to luck and Fox Kids Network president MARGARET LOESCH, the right people were thrown together and supported and a new vision for an animated TV series was preserved. Veteran artist-producers WILL MEUGNIOT and LARRY HOUSTON knew how an X-Men show needed to look, move, and sound. Head writer MARK EDENS and I knew what kind of stories we needed to tell. Supervising executive SIDNEY IWANTER wouldn’t let us slack off. 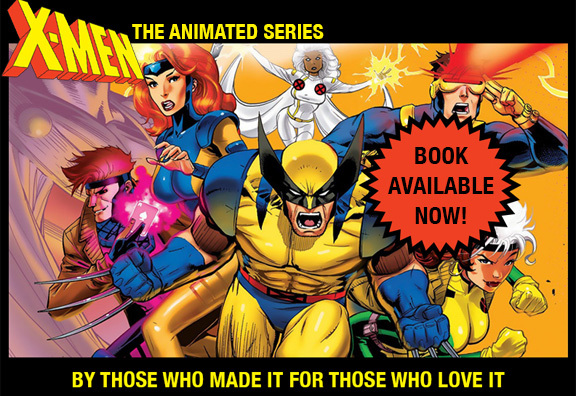 We six, and the dozens of gifted cast and crew who made X-MEN: TAS what it is, will contribute memories and images from our personal collections to try to share with you, the fans, what it was like to make a show that has earned so much of your affection. Though new work continues to occupy all of us, most of us will be able to try to respond to questions if you have them. My wife, X-MEN: TAS writer Julia Roberts Lewald is the driving force behind this site. Helping us will be our niece Rev Wiederspahn and friend Taylor Faust. For the next few days we will be renewing friendships at the San Diego Comic Con, where many of us first discussed X-MEN: TAS in a 1993 panel. After we return, we will commit to a more consistent daily posting of new material. For today, I would like to start near the beginning, with an image or two from the first episode and the note that I wrote the prospective writers about what kind of show we needed X-MEN: TAS to be. This material is from my personal archive. Please enjoy.